T-shirts as souvenirs? 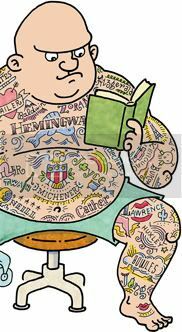 Do you collect Hemingway? Or cat books? (I do). I went to Hemingway’s house in Key West while there visiting family. And yes, took home a t-shirt. How about book stores? I’ve got one for Caliban Books, Pazzo Books, and a few more. Some of those came in exchange for the BTC t-shirt. Do sweatshirts count? Like a variant binding? I recently noticed I’ve been collecting t-shirts as others do post cards. Oh, wait. I collect post cards too, as souvenirs and as an addition to my local history book collections. I have a fair sized closet, although since it’s becoming overrun by t-shirts I needed to do a sort-through. I actually thought I’d find some to throw away. Nope. 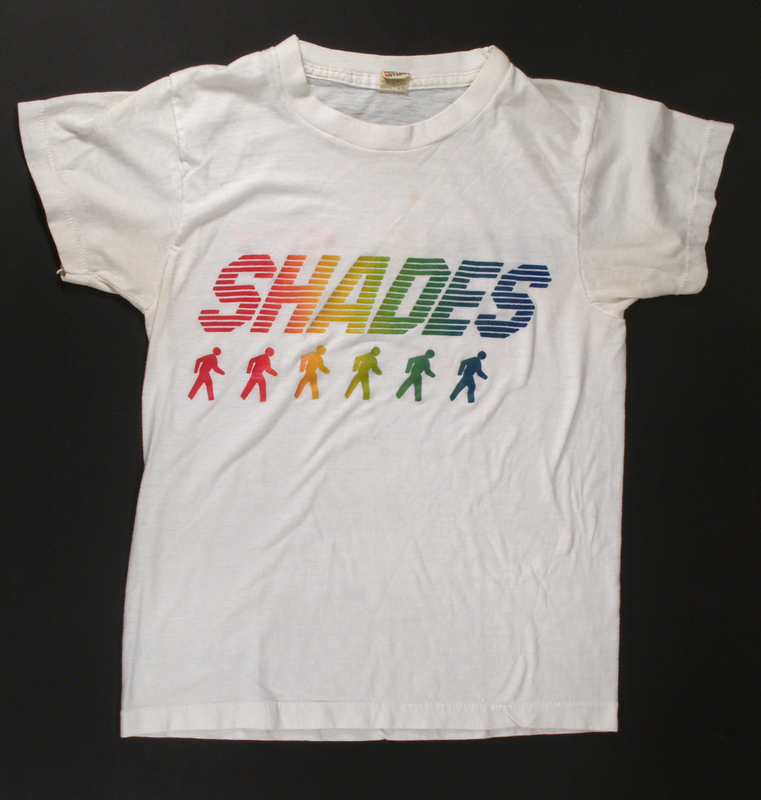 They all have meaning and I found I could not part with those with the tattered necks and yellow stains, or even the one that had shrunk into another dimension – by the way that would be my “Shades” rock and roll band shirt. They were friends of Tom’s, the band we dated to, and who played at our wedding. How could I chuck that? 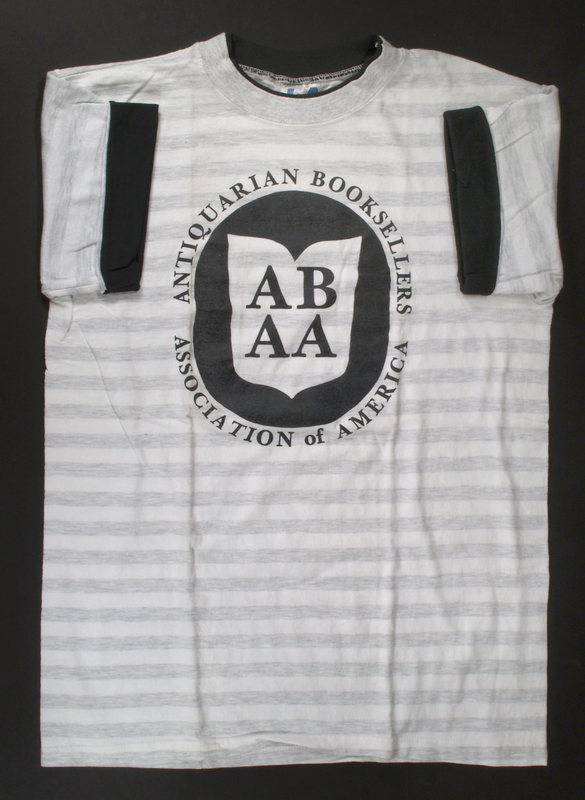 I found a number of ABAA shirts (along with the variant sweatshirts), and book fair tees. How else would I keep track of all the shows we did? Book fairs bring us to regions that offer souvenirs. The San Francisco show means wine country. Since I also collect wine books, I yearned to see the Napa Valley and Sonoma County. That trip provided shirts from some of my favorite wineries visited. During the aforementioned sort-through I came across a stained shirt from Chateau Montelena. A big yellow stain just below the image. What to do? The wine is really, really good. Did you see “Bottle Shock”? This winery won the “Judgment of Paris.” What to do. Since t-shirts are actually limited editions as their designs are always being updated, I feared I would not be able to replace it. Should I cut out the image and stash it with my wine labels and other wine related ephemera? Would Tom approve? I thought not. I trashed it. Then I took it back. Later I stuffed it back in the trash bag and carried it outside. Yes, you got it. A day later I opened the bag and it’s sitting here next to me. Oh, woe. My wine book collection fills our bedroom, and part of the guest room. My t-shirts will get more space in the closet. How did this begin? Almost certainly with my first real job during high school. 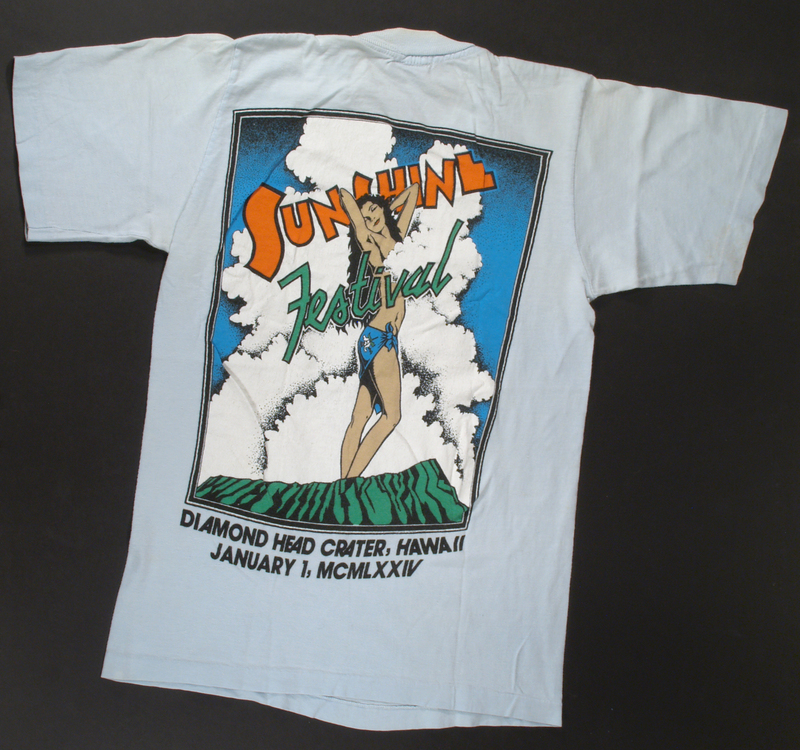 I worked for Crazy Shirts, a T-Shirt shop founded in Honolulu, where I lived, and we were required to wear an in-stock shirt during our shift. Thus with every paycheck came a free t-shirt – thus I acquired many tees! Later on, after moving a few times (and taking every last book and t-shirt I owned with me), I gave the bulk of them away. I still have pangs of regret. I want them back! Just as I want back the rare book on port I sold when I toyed with selling my wine books. 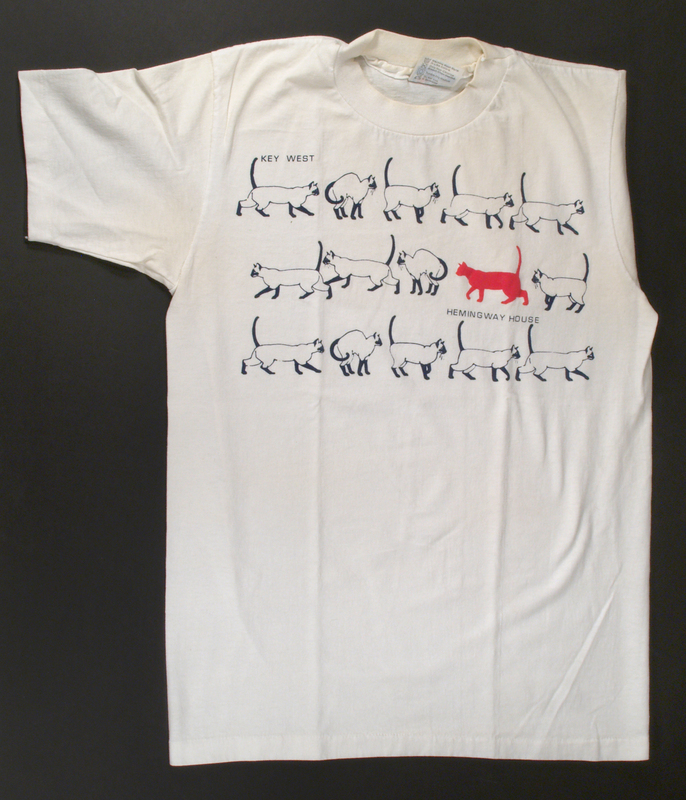 So during another book fair, I found a Crazy Shirts store on the Mainland and bought one with a B. Kliban cat on it. I’ll never wear it though, it’s “not me,” but I have to keep it! When do I wear all these shirts?? Why, running of course. Which means the Boston Book Fair required a pilgrimage to Bill Rodgers’ running store and a t-shirt; the now defunct ABAA Washington fair resulted in a Socks the Cat shirt; the annual Cooperstown fair adds to the tally of Yankee t-shirts; and the ILAB fair in Australia meant the Sydney Bridge Climb and commemorative t-shirt; and the ILAB fair in Koln, Germany found me determined to bring home a t-shirt only to find they hadn’t yet discovered this tourist cash cow and I searched the corners of many souvenir shops before finding the only t-shirt in the city. And it’s ugly. Did I mention the limited edition? I have Colorado Antiquarian Book Seminar shirts – with the old and new logos, along with Rare Book School shirts also with the old and new logos. I bought up a bunch with the old logo for myself and Tom (how could I not, it’s a lion!). I also bought the new RBS shirts with its austere sans serif design for the BTC staff, and they wear them more than the BTC selections. Harrumph. So, my latest, and only, count revealed Tom: 51, Heidi: 96. Plus I suspect a few in the laundry. Too much of a good thing? Hardly. I have more cat books than that. cool t-shirts always predict things about your personality. Tees are my passion.